We design, supply and fit quality modern, traditional and contemporary fitted Kitchens, Bathrooms & Bedrooms. Visit our showroom on Hawkins Lane. Our Kitchens are made from quality materials, manufactured in England and Germany. We only use branded quality appliances by Bosch, Neff and Hotpoint, all of which are fully guaranteed. Bring in your room sizes to discuss with one of our designers for a design and estimate for your project. We use Industry standard software to help you visualise the end result. Our quality fitting teams come from the local area, take great pride in their work and give a 12 month no quibble guarantee. We also design, supply and fit luxury bathrooms and cloak rooms. Our showroom has a varied selection of Kitchens and Bathrooms for you to view. Staff are on hand during opening hours to discuss your project. 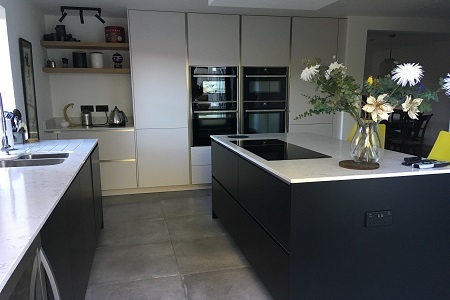 Trent Kitchens specialise in the design and installation of high quality Kitchens, Bathrooms & Bedrooms in Burton on Trent and the surrounding area. Using top of the range products, branded appliances and our expertise and experience we are confident we can fulfill our customers requirements. We work on a one to one basis with our customers, from initial consultation, through design & ordering, to a fully project managed installation. We ensure our customers are involved and well informed at every stage of the project. We believe the success of our business is by providing Quality Kitchens & Bathrooms & Bedrooms, as well first class customer service. We specialise in supplying Fitted Kitchens in and around the Burton on Trent area. We use quality British & German manufacturers and branded appliances. We design and fit luxurious Bathrooms, Shower Rooms, Cloakrooms and Bedrooms. 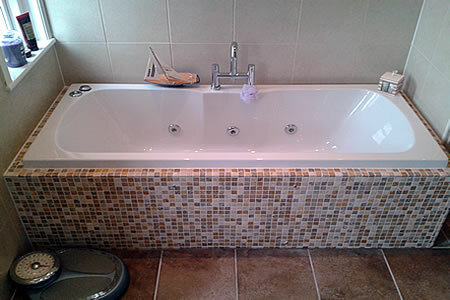 We only use quality Bathroom products, fittings, tiles and flooring. Visit our showroom in Hawkins Lane Burton on Trent to view our range of Contemporary and Traditional Kitchen displays, Bathroom displays & accessories. We are delighted to be able to recommend Brian and his team at Trent Kitchens. We shopped around for some time and got frustrated with trying to find someone who could take care of the whole job. We needed to look at lots of options and nothing was too much trouble. Other companies hadn’t been that forthcoming with taking on both the planning and building work that was needed and it was difficult to find someone who could design and plan as well as look after the building works. Many thanks for our lovely new kitchen. I am delighted with my new kitchen. The service you gave was excellent, from the planning and organisation, to the installation which was carried out to perfection, with as little disruption as possible. I am so please you came recommended to me and would certainly recommend you to anyone looking for a new kitchen. Kitchen is absolutely stunning thank you! Thank you very much for all your help and guidance with the planning of our kitchen. 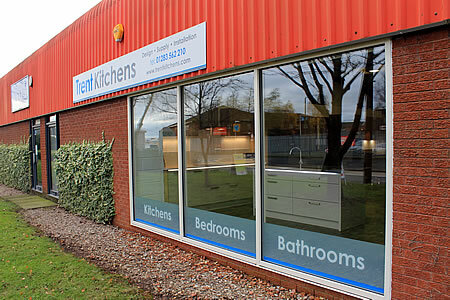 We are really pleased with the quality and planning of our new kitchen and I highly recommend you and Trent Kitchens. Everything was delivered on time and when required. Anthony’s craftsmanship was first class, he organised the electrician and plasterers when needed so it all followed on, and each day when they left all was clean and tidy. I would highly recommend you to all future customers, for the service I received was first class. I am really thrilled with my new kitchen.